I had the distinct pleasure visiting the home of Cooking and Kids’ owner, Vlada Vladic. She wanted to share a savory dish but the catch was I had to help! Me? Yes! I thought how blessed I am to learn first-hand from an amazing mother who has a passion for cooking healthy. Just my kind of thing! 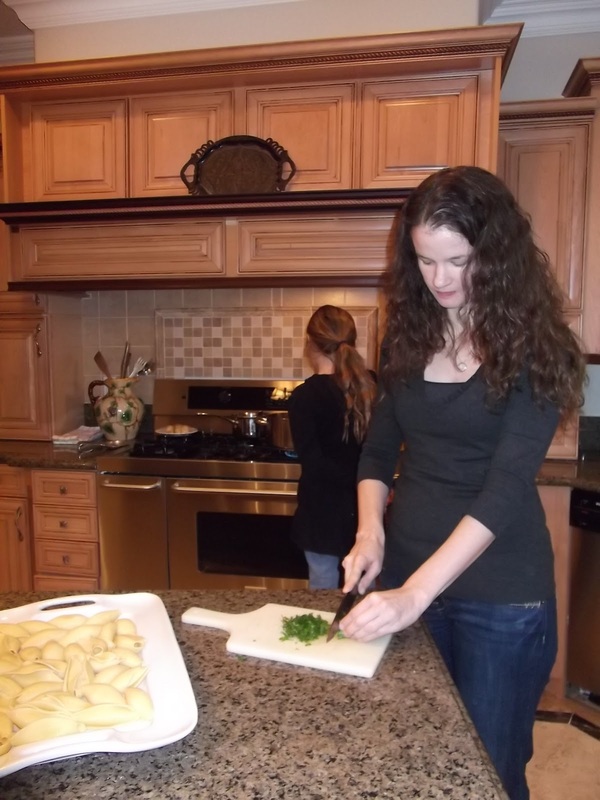 Vlada offers cooking lessons in the student's home for up to 6 people for 2 hours for $100. This is a fantastic rate! To further inquire you may contact her through her website. She also creates live cooking videos from her kitchen sharing on YouTube. I highly recommend you subscribe to her channels, 57Vlada and CookingandKids. She is the winner of Food Network’s Family Feast Challenge 2010. You can enjoy her award winning recipe by visiting the article contributed by Barbara Rolek on About.com. 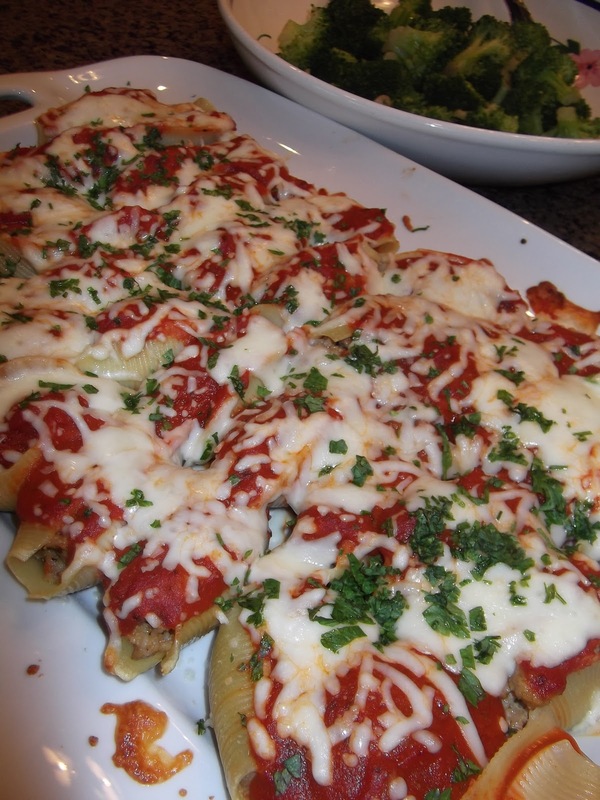 I know you’re waiting on what we made so here it goes – Sausage and Vegetables Stuffed Shells. Preheat oven to 360. In pan on stovetop, heat olive oil, add onions. Once onions are translucent add carrots but wait until they soften a bit before adding zucchini. Add sausage. While it's browning add garlic and basil. Remove from heat after all is cooked well. (We added an egg to keep the ingredients from separating.) 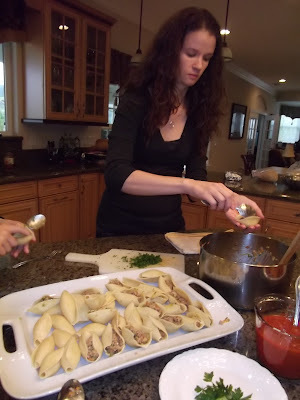 Spoon the sausage mixture into the precooked shells. 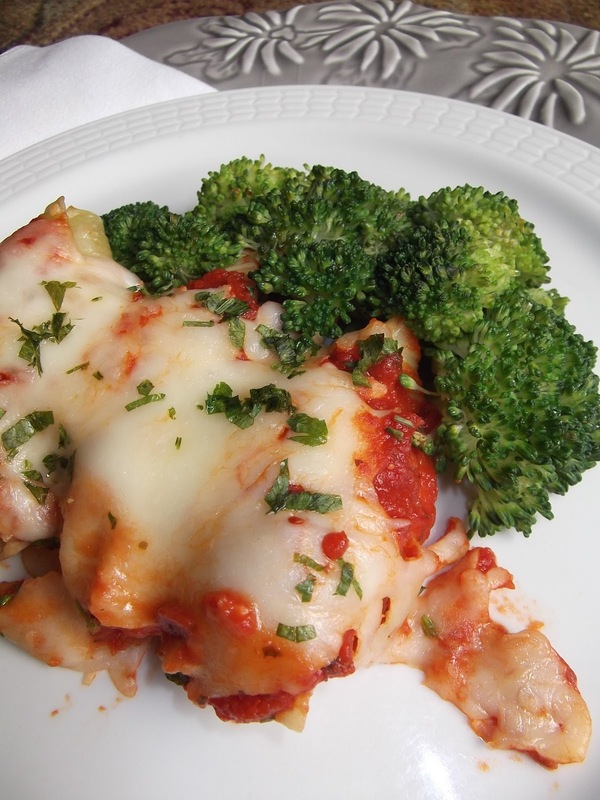 Top with tomato sauce and mozzarella cheese. Top with foil for 20 minutes in the preheated oven. Remove foil, add parsley and place in oven for 10 minutes. The foil keeps the shells moist, cooks the egg and brings the food to the right temperature. Buon Appetito! We served this dish with a nice side of steamed broccoli coated with an EVOO and butter sauce. 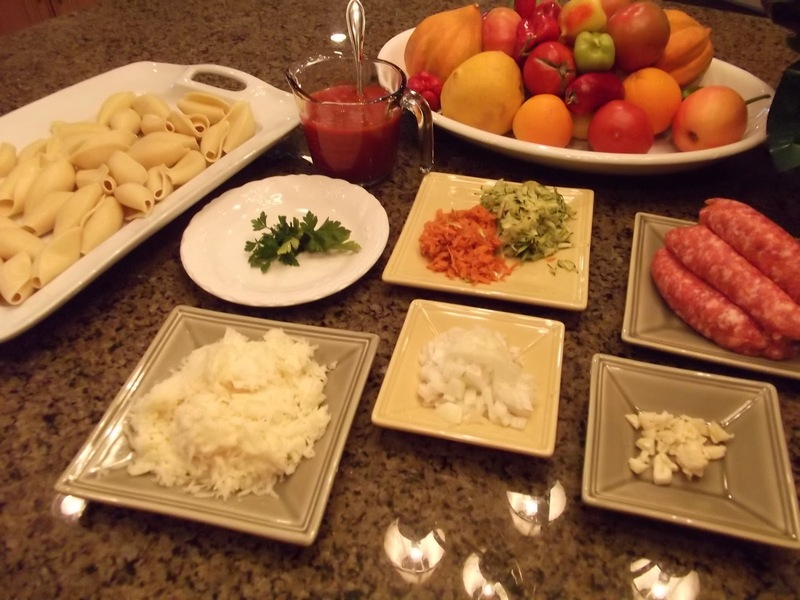 Be sure to check out Cooking and Kids’ website as well as her Facebook page. Cooking and Kids was also featured in my Jan-Mar 2012 Conveying Awareness newsletter. This looks yummy! I've added it to my meal planning calendar!